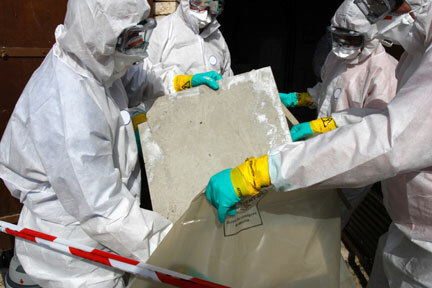 We have a wealth of experience in asbestos removal management and deliver solutions tailored to your needs. From relatively straight forward tasks to more demanding and complex projects, Grade 3 can manage your asbestos removal needs. Providing a national UK service Grade 3 can provide asbestos abatement solutions for any problems. We offer a competitive and premium service and pride ourselves on being able to offer asbestos abatement solutions for any asbestos problem. Grade 3 are professional, reliable and always aim to provide the highest level of service cost effectively and with the minimum of disruption. Grade 3 continually invest in our workforce and pride ourselves on having a highly skilled team. We are committed to providing the highest level of asbestos management service and both our knowledge and expertise can help guide you through the asbestos regulatory framework with ease. This level of excellence has led to us being trusted by local authorities, significant commercial groups and hospital trusts to handle all their asbestos management needs.